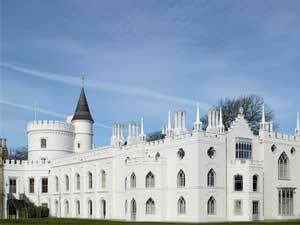 Join us for a bespoke tour of the Strawberry Hill House Flower Festival. Gather in the Great Parlour for a glass of fizz and meet your guide for a tour of the house. After the tour, you will be taken to the Gallery where Sandra Pullen, our resident garden historian will give you a brief tour of Horace Walpole’s garden through contemporary 18th-century watercolours. This will be followed by artisan flower grower and florist Sarah Whiting of Nettlewood Flowers.